Los Angeles, Calif. – On Wednesday, the Academy Museum of Motion Pictures announced a landmark donation of $50 million from Cheryl and Haim Saban—the largest gift to the Academy Museum Campaign. In recognition of their generosity, the May Company Building will take on a new name: the Saban Building. Academy and City of Los Angeles dignitaries at the press event included: John Bailey, President of the Academy Board of Governors; Academy Museum Director Kerry Brougher; philanthropists and Academy Museum supporters Cheryl and Haim Saban; Los Angeles Mayor Eric Garcetti; Museum Board Chair and Vice Chairman of NBCUniversal Ron Meyer; Chairman of the Museum Capital Campaign and Chairman and CEO of The Walt Disney Company Bob Iger; Academy Board of Governor’s Vice President and President of Lucasfilm Kathleen Kennedy; and Academy CEO Dawn Hudson. 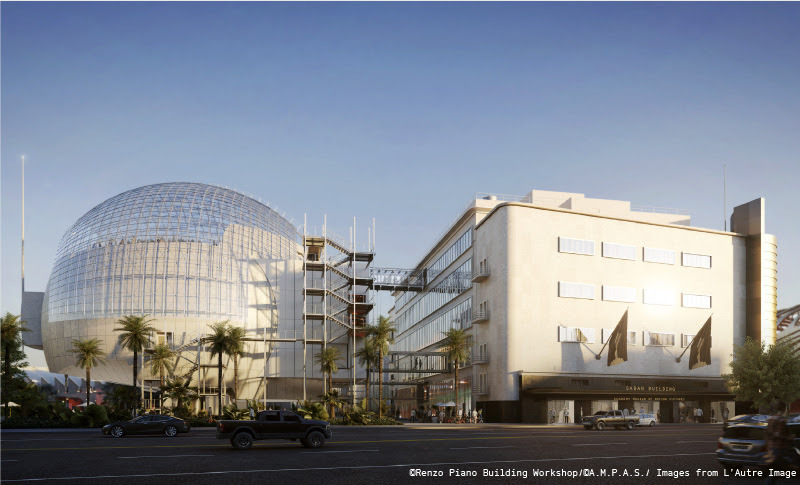 The Academy Museum of Motion Pictures announced a landmark donation of $50 million from Cheryl and Haim Saban—the largest gift to the Academy Museum Campaign. In recognition of their generosity, the May Company Building will take on a new name: the Saban Building. Get a first glimpse at concepts for museum content, which includes a permanent exhibition tracing the evolution of filmmaking. Combining sets, large-scale moving images, costumes, props, sound installations, and dramatic immersive environments, this journey will evoke the power and emotion of film as visitors move through time. 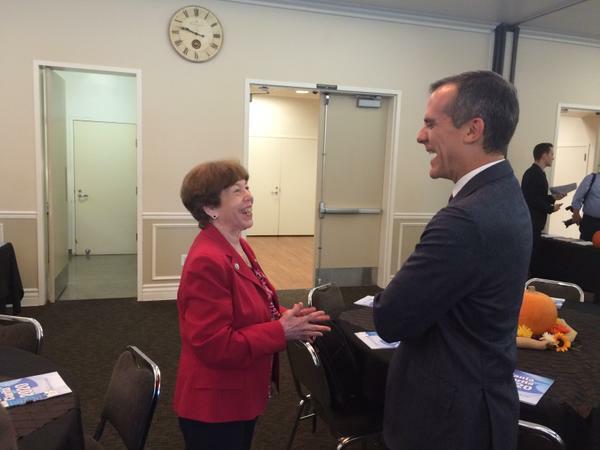 Santa Clarita, Calif. – Los Angeles Mayor Eric Garcetti and Santa Clarita Mayor Marsha McLean invited mayors from other cities in Los Angeles County. 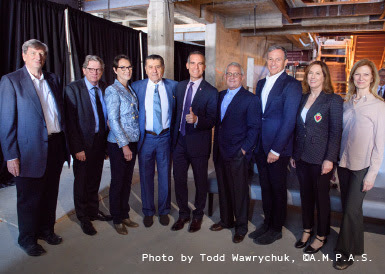 Mayor Garcetti, who holds periodic meetings for mayors of cities in Los Angeles County to meet and discuss regional issues touched on his bid for the 2024 Olympics during his visit.